Progress has been slow over the last year mainly due to lack of funds and the appalling weather conditions throughout the summer months. We have however made progress in some areas. The tailplane has just about been refurbished and repainted. The main undercarriages are being repaired and refurbished, and the wheels have been overhauled ready for fitting. A missing rib section has been made and fitted, which means there is only about one weeks riveting work required to complete the fuselage joins. The cockpit has had most of its sound proofing removed and the task of refitting the instruments panels has begun. Our main effort this year will be to raise sufficient funding for the manufacture of two new cradles and for the aircraft to be lifted onto these. In addition we are planning to repaint the aircraft fuselage (weather permitting) and we have started work refurbishing the cabin floor. 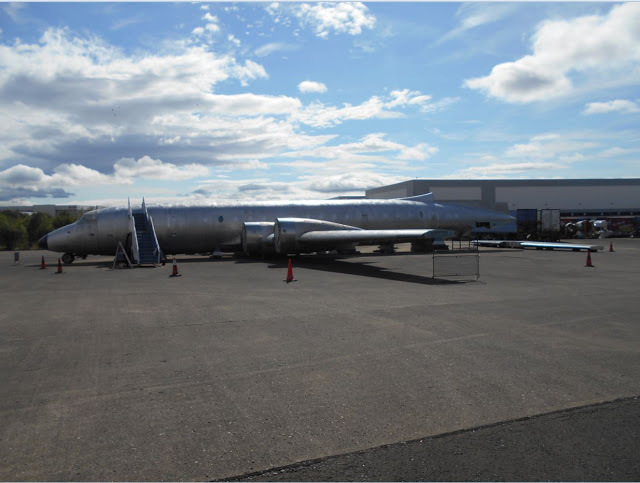 The Bristol Aero Collection closed its doors at Kemble last year and has moved to Filton where he embryo Bristol Aerospace Centre is in the making. RX, which is on long term loan to the BAC, was one of the last items to leave Kemble, making the journey to Filton on the 8th January.